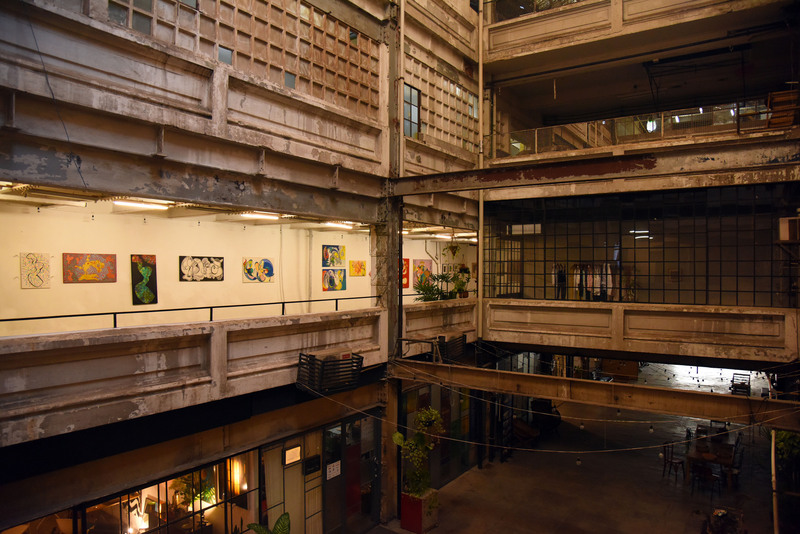 Every first Saturday of the month the ‘Fábrica Bhering Circuito Interno’ (Bhering Factory Internal Circuit) takes place, inviting the public to visit the workshops of artists, designers, furniture makers and much more, including some cutting-edge gastronomy and live musical performances. RIO DE JANEIRO, BRAZIL – This Saturday, September 1st, Fábrica Bhering, in Rio’s Santo Cristo, will be hosting its monthly Circuito Interno, where it opens its doors to the public for free, giving access to its various galleries, workshops, studios, eateries and breweries, and allowing people to meet the producers and buy directly from them. There will also be live jazz on the rooftop to accompany the sunset at around 6PM. Founded in 1880, Bhering was the first chocolate factory in Brazil and even supplied chocolate to the Brazilian Royal Family – it later fell into disrepair and was re-purposed by a group of artists at the beginning of the twenty-first century and is now home to around eighty different workshops, photo internet reproduction. Those who come to Fábrica Bhering on Saturday will have the opportunity to explore the 10,000 square meters of this historic building, originally a chocolate factory from the thirties, steeped in history and character. Over 32 independent studios, shops and workshops will be opening their doors on Saturday. There will also be a food and drink court out on the ground floor courtyard, including the Cevaderia, Bhering’s very own artesanal brewer, as well as a vegan café, gourmet burgers, crepes and much more. On the third floor, people can find the Trapiche Carioca vintage furniture store and the ‘Livraria da Fábrica’ (Factory Bookshop) which sells a wide range of antique, second-hand and new books in both Portuguese, English and other languages. They also have a burgeoning children’s area. The fourth and fifth floors are home to many artists’ workshops, such as Lucio Volpini, Camila Alonso (Milalonso) and Bel Magalhães. On the terrace is a pottery workshop and also the place where Inca Jazz will be performing at 6PM as the sun sets. 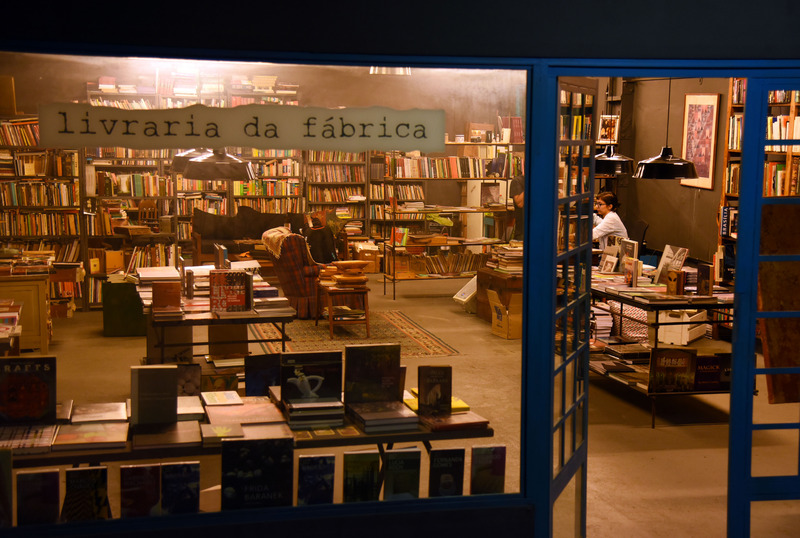 The Livraria da Fábrica was set up by Felipe Varella in 2011 and stocks a wide variety of books both old and new, with a particularly fine selection of art, design and photography books, photo internet reproduction. “It’s a gem of a place full of interesting shops and artists’ studios. There’s nothing like it anywhere else in Rio.” Comments Kasfhi Halford, English photographer. “We get to meet lots of people from Rio and all around the world: really nice people, lovely conversations and a nice space of exchange with people all around.” He continues.